Not working it for the camera. The weather was a bit cool last week when I was in NYC. I wanted to take something warm to wear that would extend below my waist and cover up the Smith & Wesson Bodyguard 380 and holster I had stashed in my right front pants pocket. I bought a Mil-Spec Monkey Hoodie RAW last November and it was just right for the trip. I met The Monkey a few years back at SHOT Show after I had contracted him to make morale patches for BlueSheepdog, and then more for ThinBlueFlorida. We were very satisfied with his professionalism and his products. I didn’t get to talk to him this year, but I was impressed with the size of his entourage. On his website store, I saw this Hoodie. I liked the design, that it was Made in the USA with quality materials, and carried a low price: $44.00! I sent him more of my money. MSM said the Hoodie runs in the “fitted, athletic look” for sizing. I wanted it to wear a little loose for concealed carry, both IWB and pocket, so I chose an XL. Charcoal or OD? I have lots of OD from SWAT, so I went with the Charcoal. Upon receiving it, I was happy with its attributes. 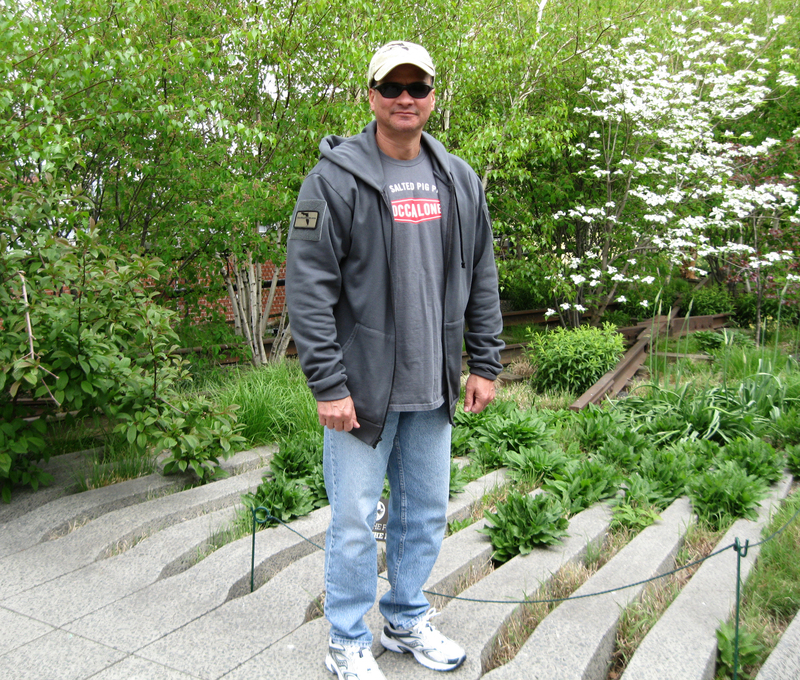 The 50/50 cotton polyester fleece was a nice medium weight–good for layering in cold, but sufficient in cool. The garment’s stitching was even and properly placed. The main zipper is YKK brand. I liked the thumb holes in the cuffs to keep your mitts more covered, but accessible. The side pockets had no zippers, but I am sure that would drive the price up. Still, they were deep, so a pair of sunglasses, and in my case reading glasses, stay put in the bottom. The 4″ X 4″ loop side Velcro® fields on either upper sleeve are great for those morale patches. Left unpatched, the loop squares are color matched and blend in well with the fleece. MSM calls the Hoodie RAW because their upscale items are called DLUX. Duh! 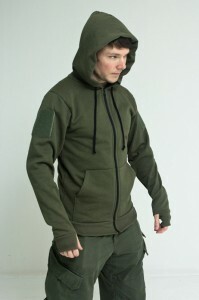 Mil-Spec Monkey’s Hoodie is just right for spring or fall weather, paired with concealed carry. I think if you order now, you can still get a free morale patch. Make sure you add it in the notes section of the MSM order and not dropped in your cart. Cheers! This entry was posted in Concealed Carry, Off Duty and tagged Concealed Carry, Concealed Firearms Carry, Mil-Spec Monkey, Mil-Spec Monkey Hoodie RAW, Off-Duty Police Wear. Bookmark the permalink.